After (almost) five years of working for myself, I’ve learned a lot of lessons! Being an entrepreneur has had it’s ups and downs, but overall, I’ve been blessed to see my hard work really pay off. I’m sure in five years, I’ll have even more lessons to blog about, but for today — here are 26 tips to help you be successful in the freelance world! …lots of questions! Ask for help when you need it. Don’t be afraid to speak up in Facebook groups and ask for advice. Someone out there has likely had the same question as you. Back up your website, and back up your files. It’s something that many freelancers avoid (or forget), because it costs a little bit of money. 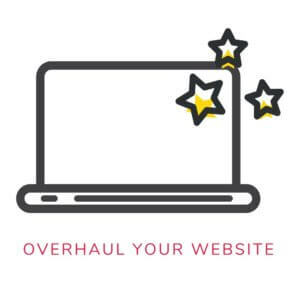 But, I’d imagine that you would rather pay $100-200 to back up everything, rather than have to re-do your entire site, or explain to your clients why all of their files are gone. >> This is the external hard drive I use! There are so many decisions as business owners — free software, paid software, courses, tutorials, platforms, webinars, workshops, hiring (or not), on and on. Your choices can help move your business forward, or keep you standing still. Running a business is hard! As much as freelancers talk about sleeping in and taking long vacations, there is just as much overtime. Avoid overwhelm by delegating to others — specifically, virtual assistants. Even if just for a few weeks, ask for help! No one succeeds alone. While my husband has been a huge support for my business, there are several fellow freelancers that have been there for me along the way to provide encouragement, brainstorm with me, and answer questions. I know it’s not easy (or fun) to self-promote yourself. There are non-sleazy ways to market yourself and your services — for instance, blogging! People can’t hire you if they don’t know what you do. Don’t be afraid to hand out business cards, comment in Facebook groups, or send out the occasional self-promo tweet. We can’t do it all. My expertise is in design. I can write copy, but I didn’t write (much) of the copy on my website. Why? Because someone else is going to be MUCH more effective in writing my copy. I couldn’t hire someone to write my copy right when I started, but as soon as I could afford it, I did! If you want someone to hire you, or if you want to collaborate with someone, you can’t wait for them to come to you. Initiate conversations and build relationships with those around you. A simple conversation could be game-changing for you (or them!). Join Facebook groups. Learn from others, help others. Be engaging, not salesy. Being an active, engaged participant in online communities has been key to growing my business. I’ve learned so many things to apply to my own business, as well as things that I can pass onto my clients. Being a business owner is hard. You will make mistakes, you will feel like quitting, and you might question if you can really do this. You can! Push through the hard days (or weeks), and keep. going. When I started freelancing, I was clueless. I didn’t know anything about freelancing systems, dealing with clients, networking, etc. As I’ve taken a few courses, read hundreds of blogs, and networked with others, I’ve learned SO much. With every new lesson that I’ve learned, my business has improved and grown. >> Want to learn about SEO? When I first started freelancing full-time, I had a big rush of projects come in. I didn’t know how to say no or start a wait-list, so I just kept saying yes, and ended up with 14 projects going on at once. Having too big of a workload can cause you to provide lower quality work, which will make clients unhappy. Get a wait-list! As freelancers, we don’t always have the money to spend to invest in our business, but we want to keep up with the competition. It can be tempting to just copy someone else’s design, or steal their copy — I would know, I’ve had three people directly copy and paste the content from my site. DON’T steal from others, you’re not doing yourself any favors. The faster you can get systems set-up in your business, the better! 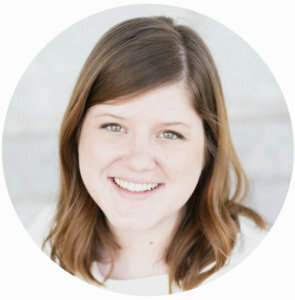 When I enrolled in Stress Less & Impress, it helped me really streamline my business. This helped me reduce stress, and also helped my business grow faster. Who doesn’t want that?! Success doesn’t just happen — you need to plan for it. Set goals, and strategize. Set weekly and monthly goals, but also set goals for 3 and 6 months out. Where do you want your business to be a month from now? A year from now? >> Create a year’s worth of social media graphics! Keep your eyes on your own paper! In the words of Amy Pohler, “Good for her, not for me.” We’re all in different spots, with different missions, and different audiences. You might be in the starting stages, and “she” is five years ahead of you. Save yourself some headache (and heartache), and treat your business like a business from the start. Get contracts in place, get systems in place, and get set-up legally (LLC, S-Corp, etc.). If nothing else, at least have contracts in place to protect you! >> Check out The Contract Shop! We all love tax write-offs, but be smart when choosing where and with who you spend your money on. Do research on a product, course or person before hiring them. Look at reviews, ask for testimonials and honest feedback! As careful as you may be, $#^! will still happen. You will forget to download the right file. You will lose files. Your clients will have a family emergency. Whether it happens to you or your client, things are going to happen — roll with it, and learn from it. What you have to offer your clients is of value — otherwise you wouldn’t be doing it. Value yourself and your services, and price them accordingly. Maybe you can’t charge $5,000 when you’re just starting out, but you’re worth more than $50. Don’t be afraid to charge what you are worth! If someone is asking for more work from you than they are paying for, if they are continually paying you late, or they are causing you more stress than enjoyment — fire them. Not every person will be the right client for you, and that’s okay. Not everyone is going to love you — and that’s okay. You do you, girl! Ignore the haters and keep doing your thing. You DO have people who love you and what you have to offer — keep your focus there. At the end of the year, sit down and do an audit of your business. What worked? What didn’t? What clients did you love? What did you learn? Look at projects and clients, but also look at your blog, your social media, your income, etc. >> Get a website audit to kick your website up a notch! When I first started Jess Creatives, I was offering design and photography. Then, I started offering video (via my husband), and even offered social media help for awhile. I was doing TOO many things, and it was diluting my message. Zero in on your specialty! What lessons do you have to share?